The Chambered Nautilus is an interesting mollusk called a cephalopod. Like the squid, octopus and cuttlefish, the nautilus’s head is attached to it’s feet or foot, but unlike them, it has a complete shell to cover it. The shell appears similar to a snail shell, but inside it is divided into “chambers” which hold gas to keep the animal buoyant. He will add water to the inner chambers when he needs to dive deeper and let it out to float. An adult will have about 30 chambers in it’s shell. It is believed that they can live up to 20 years! With very poor eyesight, the nautilus depends on it’s sense of smell to hunt for food. It has a crushing beak which allows it to feed on shrimp and crabs, along with fish, which it catches with it’s 90 (approx.) tentacles, but since it exerts little energy to live and move, it only needs to eat about once a month! It uses a tube to expel water- jet propulsion- which moves it along to move from place to place. The nautilus will dive deep during the day- to depths of 1800 feet- to avoid predators and rise back up during the night to feed on the reefs. 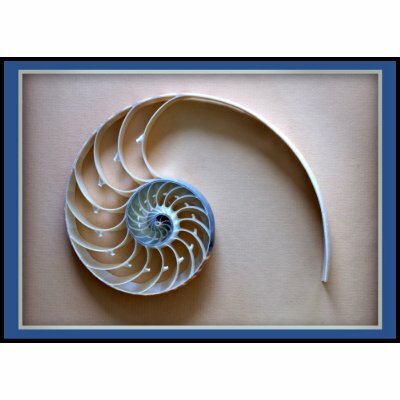 You will not find a nautilus shell lying on the beach- at least it seems very unlikely- and I do not own one. The photos here came from deegolden’s Store at Zazzle. They can be found living among coral reefs in the Indian and Pacific Oceans and a full grown nautilus can reach 8 inches in length. 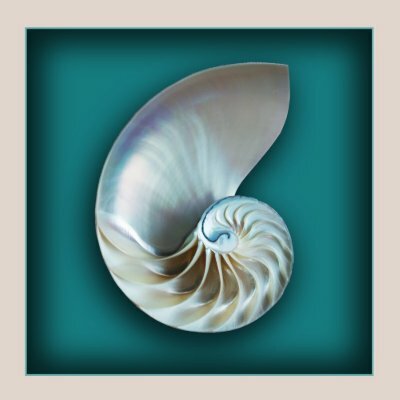 In some places the nautilus population is declining because of the popularity of it’s shell and to save this creature, most of the sites I visited urged consumers to not support the harvesting of the nautilus by purchasing a nautilus shell. See an online video of a nautilus eating a crab at the National Aquarium in Baltimore by clicking this link. Burghley Nef – early (1500’s) ornamental salt holder made with a natutilus shell.